Valentine’s Day will be here sooner rather than later, so don’t wait until the last minute to make your Valentine’s Day draft with your little ones. 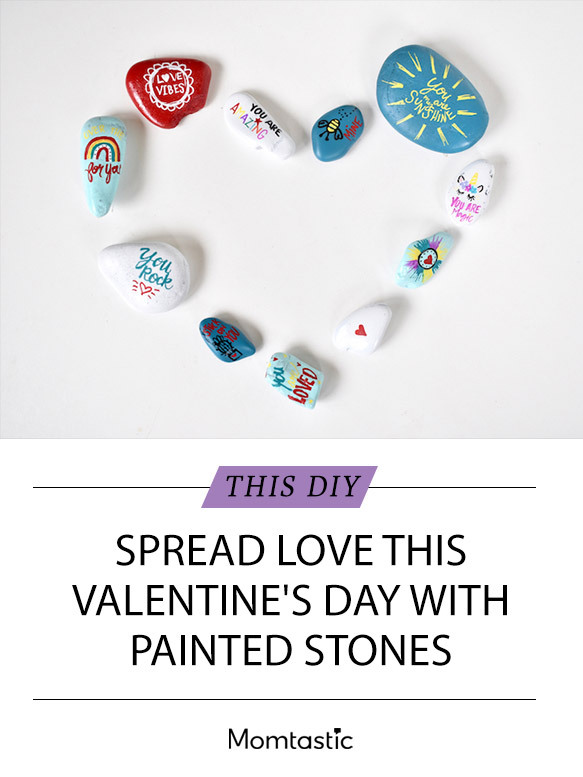 My kids are hooked on painting stones for Valentine’s Day. 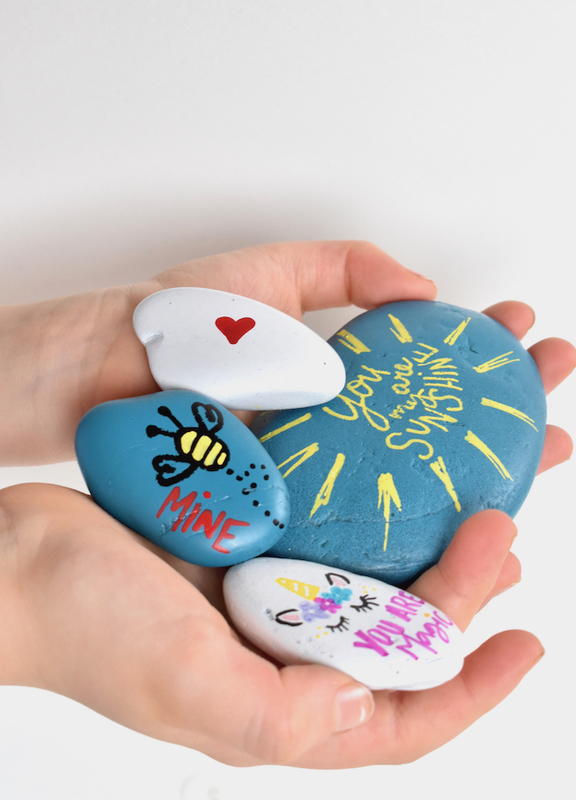 See, they often collect rocks and stones at the playground or backyard and I often hear my mom friends comment about the rock collections they find in their children’s pockets and drawers, too. So what better way to reduce the pile than to paint them? Not only will it keep kids (young and even tween) entertained indoors on frigid days, but it’s a gift they can share with friends and family. 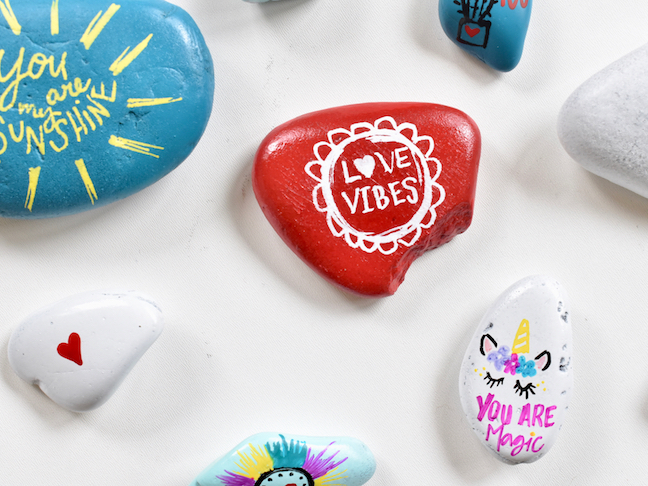 With Valentine’s Day just around the corner, make DIY painted rocks to spread the love! And if your kids don’t collect stones, you can find bags of them for less than $3 at PetCo or Michaels. 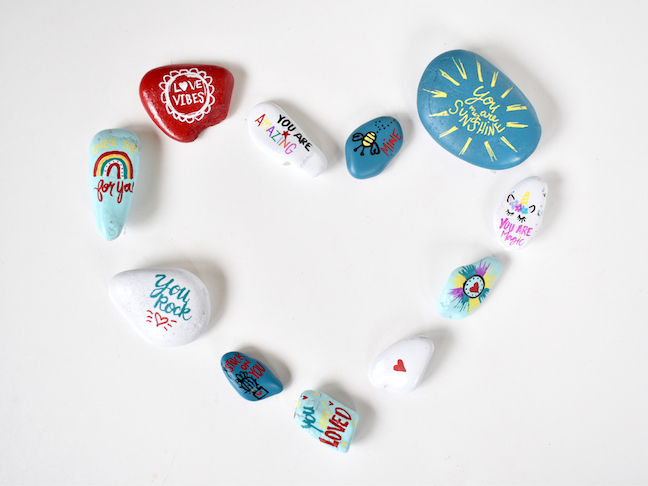 In just 3 simple steps, you will have a solid collection of pretty rocks, hand painted with love. Let’s get this rock painting party started. 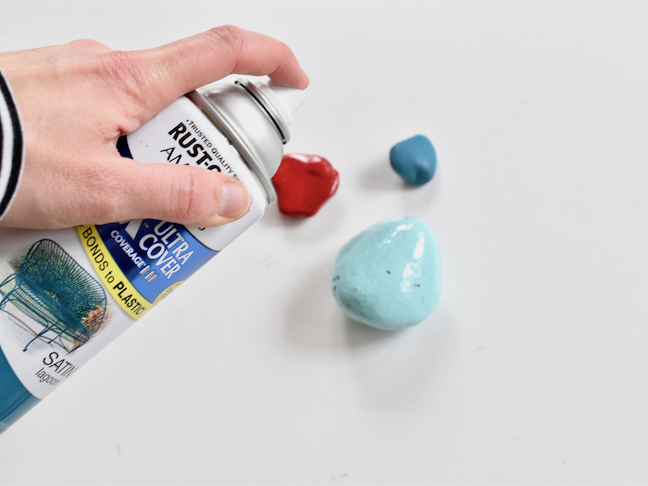 Step 1: Spray paint the rocks. 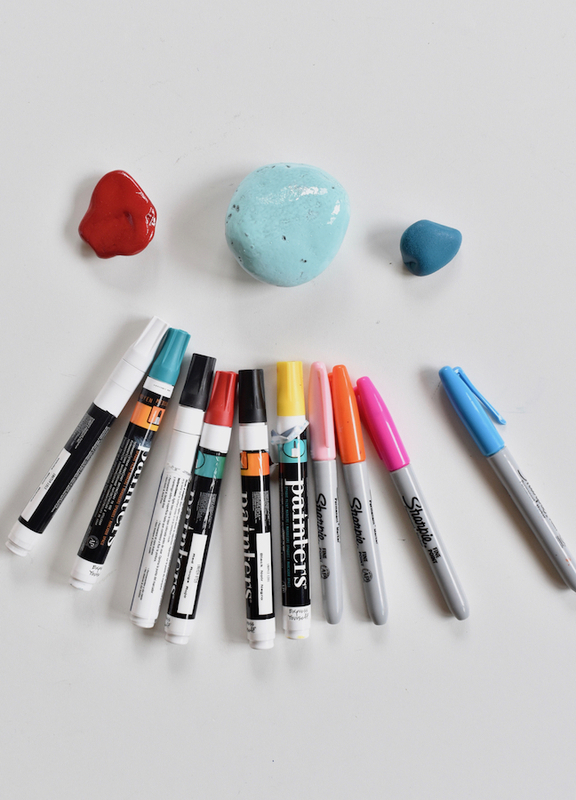 If you want your kids to do this project on their own, or don’t want to buy a bunch of spray paint cans, use Acrylic paint to paint the rocks. That will work just fine. 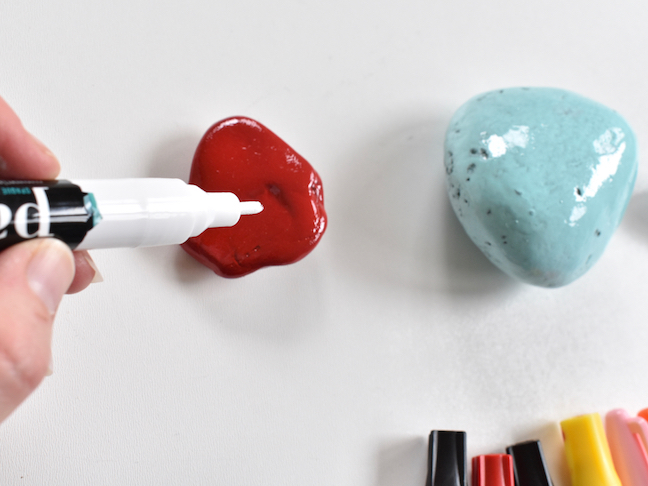 Step 2: Once the rocks are completely dry, decorate them with paint pens. I found the fine or extra fine tips work best for text and smaller rocks. The medium tips are ok for larger scale drawings. Get creative with this, and use all the sweet and funny Valentine puns you can think of. 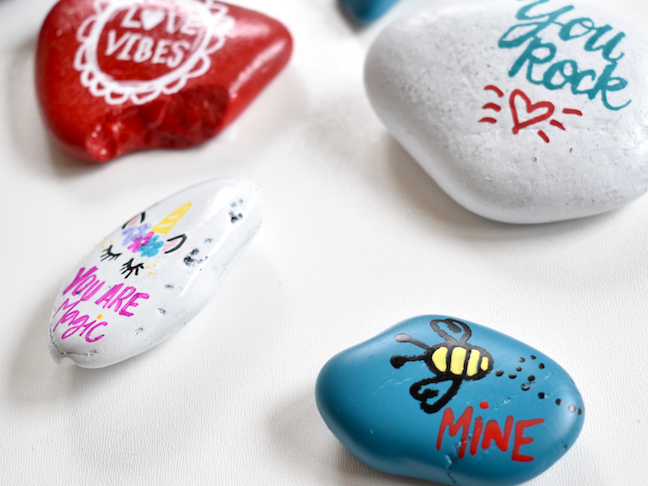 Step 3: Seal the rocks so friends and family can keep them forever, indoors or outdoors.